Ryan Sypek (Wildfire) and Kate Lang Johnson (Persons Unknown) have been cast in the lead roles of the ABC Family sitcom pilot Phys Ed. The pilot is a half-hour multi-camera comedy about a high school's star jock, Ed (Sypek), who returns to teach at his former alma mater only to find that, even though he's changed, nothing else really has. Johnson will play Janie, a teacher at the school who was ignored by Ed in high school and is now the object of his affections. The pilot is written and-executive produced by David H. Steinberg (American Pie 2). It is produced by Prodco, Inc. Ryan Sypek is an ABC Family alum, having starred in the network's first original scripted series Wildfire. Now should Phys Ed get picked-up to series, we will let you know...but for now this is just a pilot. This piece of casting follows the casting of a drama pilot, as ABC Family has cast Denise Richards (Two and a Half Men) to star in drama series pilot Socio, as Karen Ryder. Also cast is Kimberly Quinn as Tess. They join the previously announced Avan Jogia as Danny, Maddie Hasson as Jo and Kylie Bunbury as Lacey in the project. The pilot is currently in preproduction. The pilot follows Danny Ryder (Jogia), who has returned to town after serving five years in custody for murdering his aunt when he was 11. Admitting his guilt, but stubbornly refusing to discuss his motive, Danny returns to a hostile reception and a media firestorm. Ostracized by his peers, Danny reconnects with his former best friends Jo (Hasson) and Lacey (Bunbury), who are still struggling to put the past behind them. But when another student is murdered, suspicion falls on Danny and the question remains: Is Danny a serial slayer, a "socio," or is he a victim with a shocking secret? Richards will portray Karen Ryder, Danny's perfectly coiffed mother who once ruled the town's social scene but who now struggles to put on a brave face with her son returning home under a cloud of scandal and shame. Quinn portrays Jo's mother, Tess, who tries to give Danny the benefit of the doubt and clashes with her husband over his harsh attitude towards the teen. Fox has ordered a fourth season of 22 all-new episodes of the Emmy-nominated animated comedy Bob's Burgers. The series is currently in its third season, but there are episodes from the second season still airing this season, as only 9 aired last season. So this fourth season cycle order will probably not get to air for another year or two. 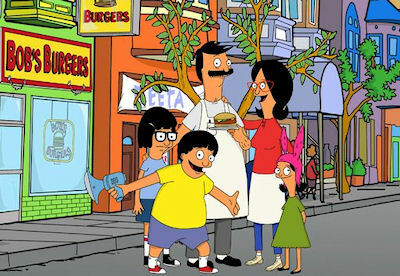 Bob's Burgers recently was nominated for an Emmy Award for Outstanding Animated Program as well as for a 2012 Critics' Choice Television Award for Best Animated Series. This season, Bob's Burgers also serves up holiday cheer with the series' first-ever Thanksgiving and Christmas episodes. In the upcoming Thanksgiving episode, Bob's eccentric landlord, Mr. Fischoeder (guest voice Kevin Kline), invites the Belchers for an unusual Thanksgiving dinner to impress a former flame. In the Christmas episode, Zach Galifianakis guest-voices as a man who is infatuated with a mannequin, and believes he used to be a mannequin himself. Other guest voices this season include Jon Hamm, Jeffrey Tambor, Aziz Ansari, Bill Hader and Sarah and Laura Silverman. Bob's Burgers follows a third-generation restaurateur as he runs his own burger joint with the help of his wife and their three kids. Bob has big ideas about burgers, condiments and sides, but only a few thoughts on customer service and business management. Despite his greasy counters, lousy location and occasionally spotty service, Bob is convinced his burgers speak for themselves. The animated series features the voice talents of H. Jon Benjamin, John Roberts, Dan Mintz, Eugene Mirman and Kristen Schaal.